Most of the changes to the Zalgiris roster have taken place in the backcourt, starting with the capture of Nate Wolters, who already has EuroLeague experience after spending the 2016-17 season with Crvena Zvezda. Further backcourt additions are Thomas Walkup, who starred with Ludwigsburg in the German League last season, playmaker Donatas Sabeckis from Lithuanian team Siauliai, and Marius Grigonis, a graduate of Zalgiris's youth system and a star for ALBA Berlin in last season's 7DAYS EuroCup. Finally, Zalgiris welcomed back old friend Leo Westermann, who started for head coach Sarunas Jasikevicius much of the 2016-17 season and returns after a year with CSKA Moscow. On the frontline, the main addition is young big man Laurynas Birutis, who also spent last season with Siauliai and earned the MVP award in the Lithuanian League. 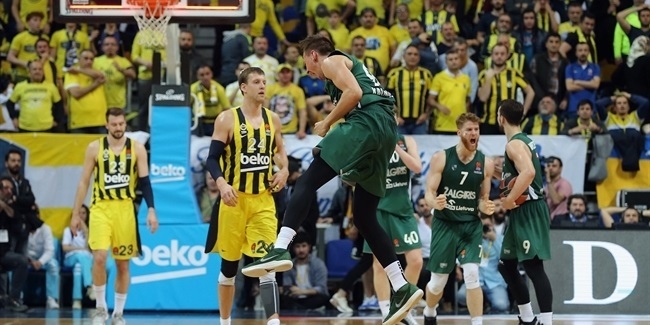 New signings Westermann, Wolters, Walkup, Sabeckis and Grigonis – all of whom are in their mid-20s – will be tasked with filling the gap left by the departure of last season's backcourt leaders Kevin Pangos and Vasilije Micic. Expect the new trio to contribute in different ways. Sabeckis is a gifted playmaker who led the Lithuanian league in assists with Siauliai last season (6.9 per game). Grigonis provides a scoring threat after averaging 11.6 points over 16 EuroCup games with ALBA including an impressive 47.5% conversion rate from long-range. Wolters and Walkup are both capable of scoring and facilitating, with the latter averaging 11.9 points (going 41.8% from beyond the arc) and 4.5 assists per game with Ludwigsburg in the German League. And Westermann, who has worked his way back from injury, brings all kinds of experience in managing EuroLeague games – and taking over his fair share. They will be joined by the only returning player from last season's backcourt, Arturas Milaknis, whose combination of three-point shooting and solid defense gives Jasikevicius more versatility to work with. 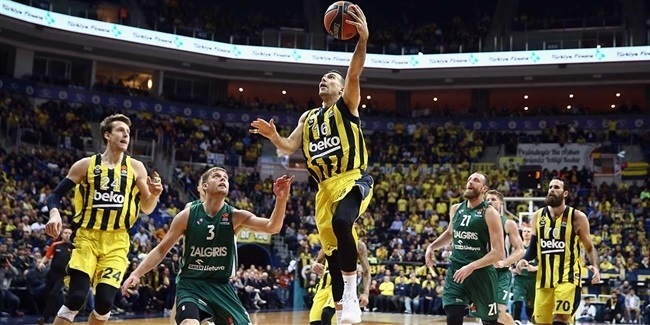 Aside from Milaknis and Westermann, it's a backcourt with very little EuroLeague experience, but Jasikevicius has excelled in extracting the best out of similar players before and surely believes that he has unearthed a few more diamonds this time. There is more continuity inside the paint, especially with the ongoing presence of club captain and legend Paulius Jankunas, who is preparing for his 16th season in the competition and will make his 300th EuroLeague appearance with his third outing of the new campaign. Jankunas, who will turn 35 shortly before the Final Four, is also 140 points short of the 3,000-point milestone as well as ranking second this century in rebounding, and he clearly has another major role to play over the coming months. He will be joined by two players who were among last season's biggest revelations in the league, all-action Brandon Davies and human highlight reel Aaron White, both of whom are capable of taking over a game in the blink of an eye with their athletic scoring skills. Another reliable presence is veteran Antanas Kavaliauskas, and there will be a bit of everything from crowd favorite Edgaras Ulanovas. The frontcourt is completed by youngster Birutis, who adds size (2.13 meters) to an otherwise relatively small lineup and averaged 14.9 points, 7.3 rebounds and 1.3 blocks in domestic play last season. Edgaras Ulanovas surely deserves to be recognised as one of the best all-rounders in the Turkish Airlines EuroLeague, with his endless reserves of energy matched by an ability to make significant contributions in every aspect of the game. Ulanovas – heading into his fifth season with Zalgiris – might not post flashy numbers but he will do everything the team needs, averaging 7.5 points, 4.1 rebounds and 2.1 assists last season. He also spent more time on the floor than any other Zalgiris player except Pangos, with an average of more than 27 minutes per game, while leading the team with 15 blocked shots. Ulanovas, who turns 27 in January, is also a clutch performer, hitting a buzzer-beating game-winner and making a game-saving block against Unicaja Malaga last season. With his ability to do everything well, he epitomizes the team-first ethic instilled by Jasikevicius and is perhaps the most important piece of the Zalgiris puzzle. 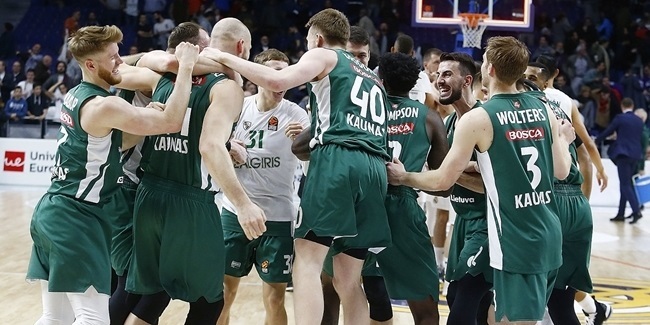 Zalgiris will be hard pressed to match last season's remarkable achievements, which saw the team qualify for the Final Four for the first time this century and then conclude the campaign with a rapturously received victory in the Third Place Game over CSKA Moscow. The task facing the Lithuanian champions is further complicated by the overhaul experienced in the backcourt. But if there's one man who knows everything there is to know about smooth backcourt play it is Coach Jasikevicius, and his continued presence on the sidelines will give Zalgiris's ever-loyal fans reason to believe their team could upset the odds once again this season. Certainly, if Zalgiris reaches the final 10 games with a chance of reaching the playoffs, watch out.